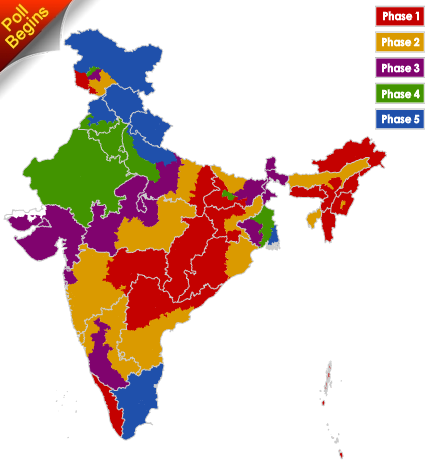 Polling for the General Elections 2009 is going on for the world’s largest democracy, India. Election Commission of India is conducting the polls in five phases. The first phase of polling commenced on April 16.